For custom filling with proprietary packing, empty SPICE Cartridges are available. SPICE cartridge consists of a body, a cap and a diffuser disc (frit). To prepare your own extraction cartridges, place the frit in the bottom of the cartridge body. Fill the body with your adsorbent material. Place the cap on top of the body and snap it shut. For best results it is recomended to use the SPICE Capping Device (catalog number 01-90). The SPICE cartridge body parts are made of medical grade polypropylene. The diffuser disc is porous polyethylene with a 15 um porosity. The body is approximately a 1 cc volume. 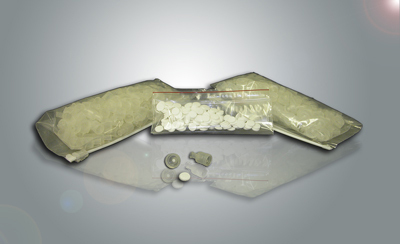 For most silica gel based adsorbents this equals 300 to 400 mg of packing material.